When you start your blog with either blogger or WordPress. Traffic is the most important thing you want and do follow backlinks is the great way to increase website traffic. In one of my post we discussed about how to add OpenID in your blog and how it can help you in getting backlinks. Now, its time to get thousands of free do follow backlinks by website submission to top blog directories. Blog directories have good page rank and it will surely help you to get thousands of unique visitors. But it doesn't mean that you ignore SEO search engine optimization of your website. It is also important. Even before you submit website to top blog directories, I would suggest you to submit your blog to search engines like Google, Bing, Yahoo, etc. Below mentioned post will help you to submit your blog to these search engines. Now, for newbie bloggers who don't know what is blog directories. Blog directories are basically a hub of blogs we can say. Where we fill the form, add url of our blog and submit our blog by selecting specific category. In this way you can submit your site free to these blog directories and in return they will send traffic to your website or blog. Here, you must need Mozilla Firefox browser. As we are going to install one add one called Autofill Forms. Step 1 :- Open Mozilla Firefox browser. Step 2 :- Install Autofill Forms. Step 3 :- Now, go to Settings >> simple and fill all the details. You will see pencil logo at the top >> right hand side. Click on it. Go to settings >> Simple. Fill all the details properly. Step 4 :- Click on Ok button and restart your browser. Step 5 :- Open any web directory. Search on Google "top free web directories". Open any of the web directory url. step 6 :- Simply press "Alt + J" from your keyboard. Now, at the time you will press Alt + J, all the fields of web directory will be filled automatically and you will be able to promote your blog in seconds. Go ahead visit another directory and press Alt + J. Isn't it very easy and quick. Find blogs which gives backlink on comment. Comment as OpenID to get backlink. So, this was all about submitting blog to thousands of blog directories to get dofollow baklinks. Hope you like this article. Please share it with your G+, twitter and facebook friends. 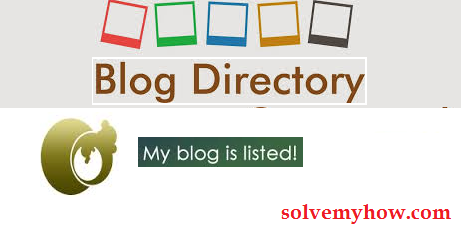 Do let me know which trick/method you are using to submit your blog to these directories and if you have any query or suggestion regarding blog directory submission then please leave your valuable comment below this post.